Cook Construction is a full service general contractor. With a carefully, hand-selected team of production and project management specialists and on-site supervisors, this energetic, youthful company is the next generation of quality craftsmanship. Be it a full renovation on a 1904 Victorian or a modern build from the ground up, we have done it all, and we love what we do. 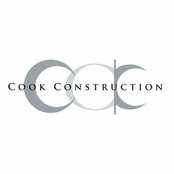 Cook Construction is an A to Z construction service provider. From Excavation and framing, to crown and finish carpentry at the most detailed level, we do it all. Typical Job Costs:$500,000 - $5,000,000A typical project for Cook Construction would start at $500K for construction costs only. From there, we service a range of project budgets up to several million dollars which can include architectural fees, interior design fees, landscaping, and even soft products such as furniture and window treatments.